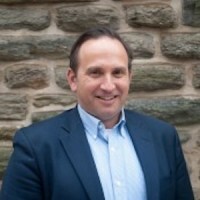 The College of Global Studies at Arcadia University is pleased to announce the appointment of Adam Rubin as Director of Institutional Relations and Enrollment. Adam brings with him a wealth of experience and knowledge of the field of international education, which will greatly support The College’s work to create innovative programs and widen opportunities for our students. “Arcadia is known for its long-established presence in international education and the diligence and experience of its staff and faculty. I’m delighted to welcome Adam to our team. His dedication to developing high-quality programs and creating opportunities for students to learn and embrace new challenges, is inspiring and energizing,” says Lorna Stern, Vice President of Arcadia University and Executive Director of The College of Global Studies. In this role at Arcadia, Adam leads the Institutional Relations, Student Services, and Student Outreach teams, develops and supports collaborative relationships with college and university partners and study abroad professionals, and helps craft and implement strategic outreach and enrollment plans designed to increase study abroad access to students from diverse backgrounds and academic majors. Adam has worked in international education for nearly 25 years, including more than 20 years in senior and executive roles in program management, program development and evaluation, and institutional relations with CIEE. In addition to serving as the director of the CIEE center in Tokyo, Japan, Adam has overseen the development and management of programs in Africa, Asia, Australia, Europe, Latin America, and the Middle East. He also served as Associate Vice President of International Programs at Road Scholar, a leader in educational programs for members of the lifelong learning community. Adam has presented widely at national and international conferences on various topics, including program development in non-traditional locations, international education risk management, internship, field research, and service-learning programs, diversity and inclusion initiatives, and Gen Z students. Adam has been a member of the NAFSA Trainer Corps and served on the NAFSA Health and Safety Subcommittee and the Forum on Education Abroad Standards Committee and Incident Database Committee. He holds a B.A. degree in Economics from Whitman College and an M.A. degree in East Asian Studies from Stanford University. Find out more about Adam and our Institutional Relations team.